We are bombarded by ads promising to spider vein treatment using lasers, sclerotherapy, vein pills, vein creams and so much more. This can lead to confusion as to what method of treatment is best or even legitimate. Not much has changed in the treatment of spider veins over 50 years. Sclerotherapy remains the gold standard for spider vein treatment. Sclerotherapy is safe, effective and is a permanent solution to spider veins. Several FDA approved agents may be used for sclerotherapy, some are much more effective than others. We have had great success with injecting the spider veins with an especially effective sclerotherapy solution with the aid of magnification and a light source. This combination allows us to identify feeder veins and accurately inject the spider veins without harming the surrounding skin. 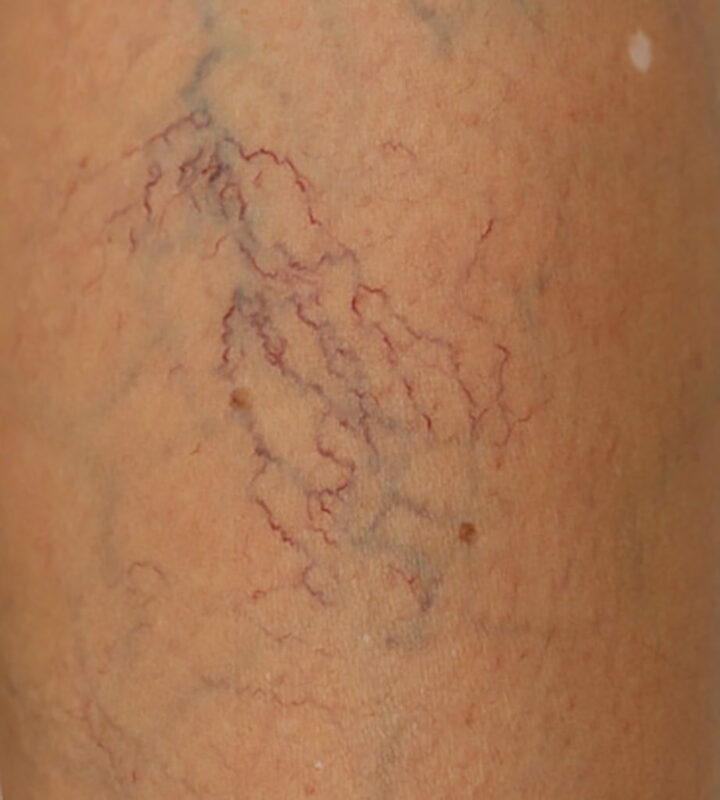 Spider veins are seen to spasm during treatment. Treatment time on average is 15 minutes. How Long is the Downtime for Spider Vein Treatment? There is no downtime or need to change your daily activities following treatment. Wearing compression stockings may or may not be advised depending on the extent of spider veins treated and the presence of any underlying venous disease. Like most procedures, healing follows treatment. Spider veins will gradually fade in 6-9 weeks on average before they disappear. The smaller spider veins will fade first followed by the larger feeder veins. Please email OC VeinCare or call (949) 364-0080 today for a complimentary vein screening. Dr. Maraya Altuwaijri is board certified Vascular Surgeon who specializes exclusively in the office based treatment of vein disease.